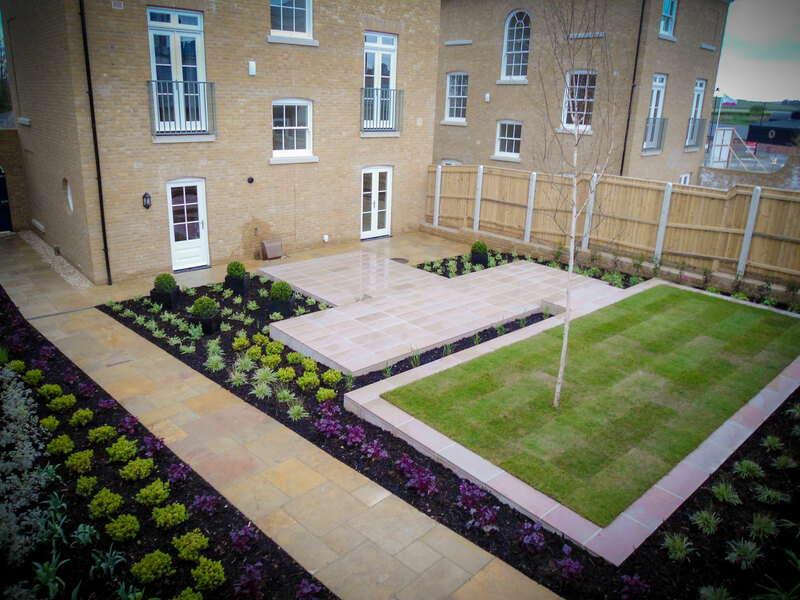 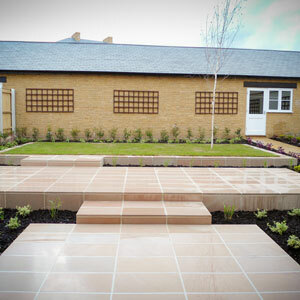 To design a contemporary garden for this show home, with a lawn and areas for entertaining. 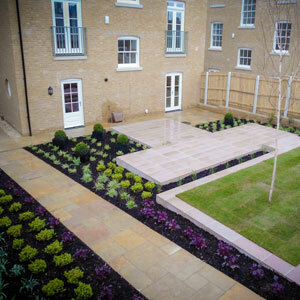 To give this garden a contemporary feel, a ‘less is more’ approach was taken, with the avoidance of over-embellishment resulting in a clean, chic finish that is inviting and different. 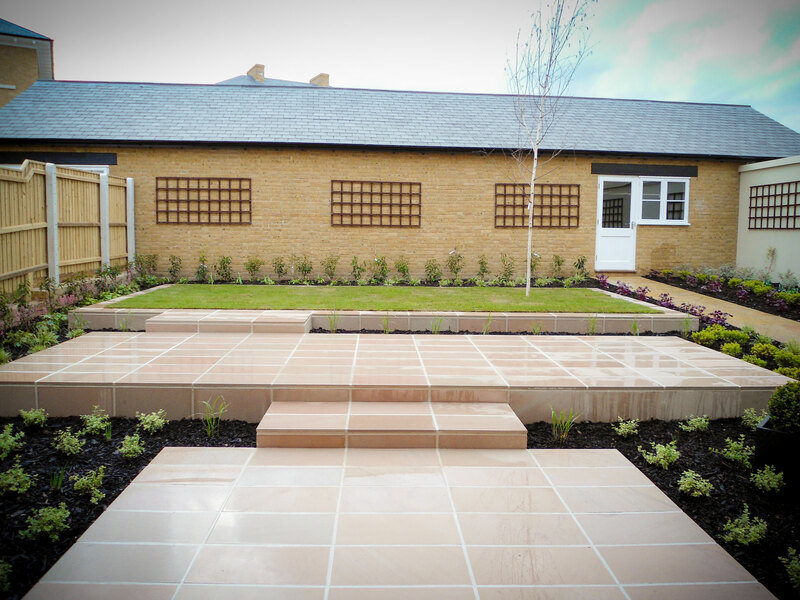 Smooth polished ivory sandstone formed the three tiers, with linking folding steps to help accommodate the sloping site. 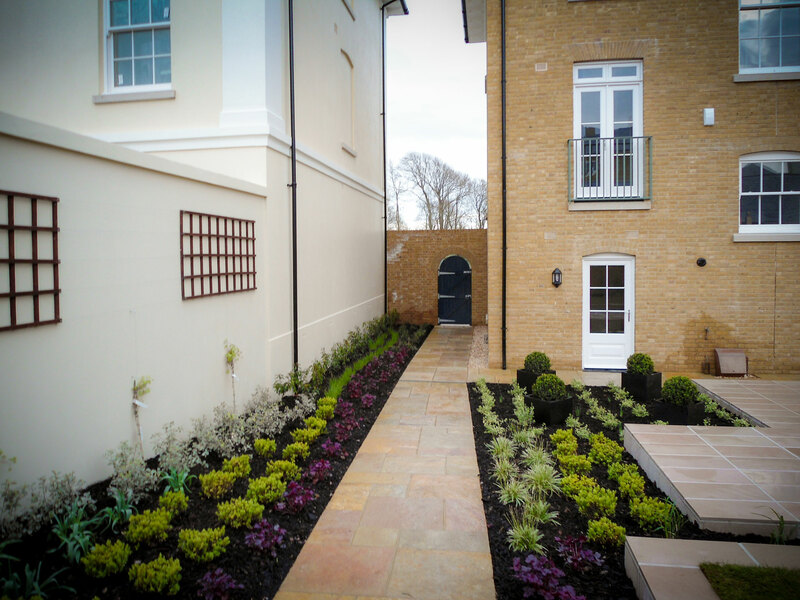 The planting scheme was kept simple by bulk planting in drifts, creating bold, captivating transitions between form and colour.